Gear Organization – What’s Inside Your Camera Bag? Why will we pay a small fortune for a camera bag, but nothing for the organizers we put inside it? Heads turn when I pull out a serious camera bag. But once I open it, the magic ends. I have random cases and pouches from companies ten years dead, and even an old electric shaver kit inside. So one of my 2013 New Year’s Resolutions was to improve the quality of my gear organizers this year. Given the state of the calendar, I needed to move quickly. What’s Out There for Organizers? After looking at the choices out there, I began to realize why I was still using such a motley crew of random containers: everybody wanted to sell me a camera bag, but no one wanted to supply organizers to go inside it. Perhaps because they were convinced that no one would pay for organizers when they have a random set of small, low cost cases already. However, I stuck with my resolution, and moved forward. 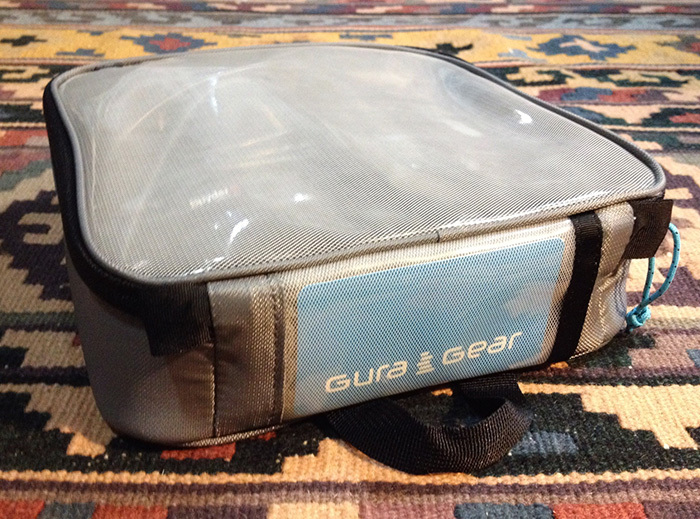 I simplified the process by acquiring the entire Gura Gear <www.guragear.com> line of organizers: their Et Cetera Cases bundle, and their Et Cetera Pouches bundle. It seemed simpler to try all three sizes of each, and find out if I might need more of a particular size, then to attempt to guess what sizes and quantities would be needed in advance. Gura Gear’s cases and pouches are well designed, bringing the durable materials and quality details that we expect from their camera bags down to the smaller scale of organizers. Fronts are transparent, to simplify finding what you need without opening more cases than necessary. Zippers are high quality, and zipper pulls are color-coded. Interior dividers are adjustable, and larger cases have interior edge bands as well. All the cases have a small strap loop, which can be used to secure them. The pouches are similarly made, with shallow edges instead of the deeper sides of the cases. Both cases and pouches have tape loops at each end of the zippers, which function as pulls, and could be also be used for securing the pouches (which do not have straps) if the need arose. What’s the Value of This Design? 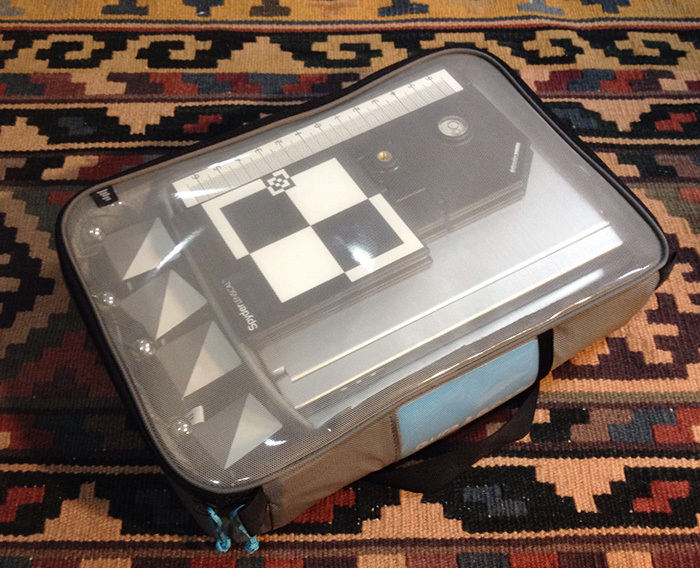 This type of organizer is not intended to become a freestanding camera bag; it’s designed to live inside a camera bag or gear case, so the fewer extra features on the outside, the better. Slick, smooth, and uninterrupted is the goal for an internal case; long straps, pocket flaps, and other interferences are not desirable. What Sizes for What Gear? Both the cases and the pouches come in Papa Bear, Mama Bear, Baby Bear sizes. The simplest solution is to gather all your gear, and test how it fits in the various cases, and what breakdowns naturally occur. Batteries and chargers in one case make sense for some users; others will take batteries on-site where there is no electricity, and not want to backpack the chargers into such sites. 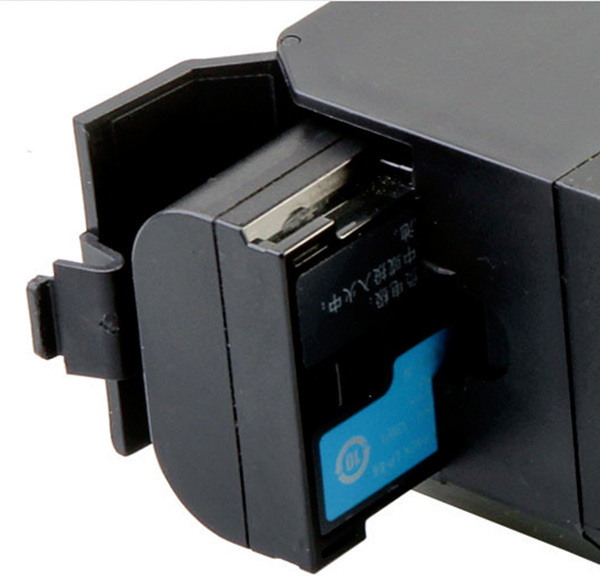 Breaking down chargers and cords together makes a different type of logic, but then all the parts for a given set of lights can’t be broken out from other lights or from camera battery chargers. In many instances more, smaller, cases offer more flexible packing options than fewer, larger ones, and reduce the number of times gear needs to be rebundled before packing. I suspect that in the long run the greatest advantage of dedicated gear containers for me will not be time savings on site-time, but savings on prep time, and greater assurance that I have what I need. The cases and pouches proved ideal for a wide range of gear. 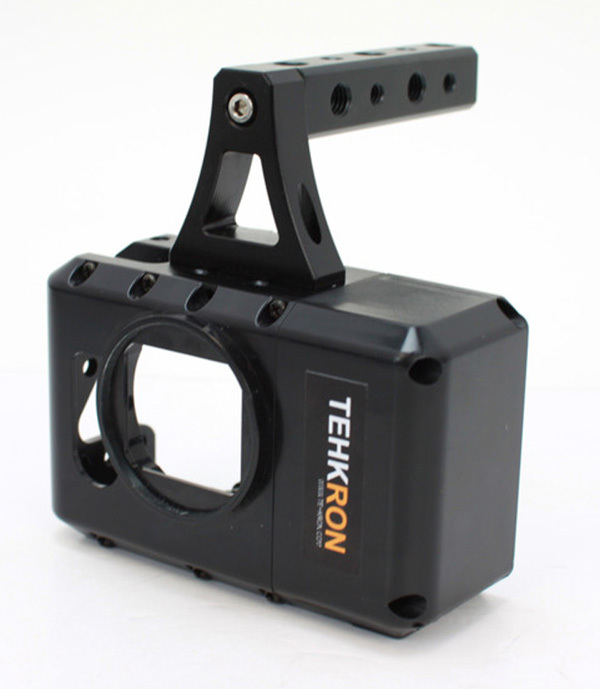 The largest case is ideal for the multiple SpyderLensCal units I use for video focus pulling, the multiple SpyderCube units I use for lighting set up, and the multiple SpyderCheckrs I use to for White Balance with the gray cards, and color calibration with the color cards. 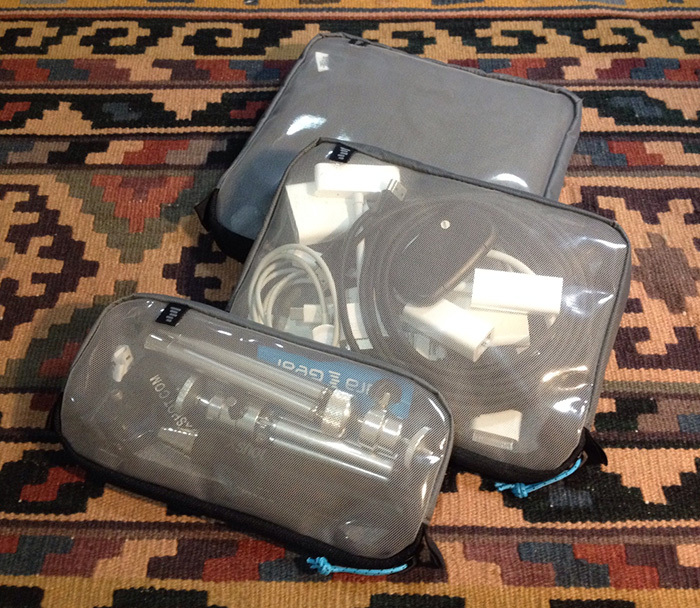 The pouches proved equally ideal for cables, converters, dongles, and small gear. If I have a complaint, it would be that none of the containers, except the largest case, is more than 7 ¾” long (20cm), and I seem to have a lot of items just a bit longer than that. What Other Storage Solutions Might I Need? The possibilities for gear storage and transport are infinite. 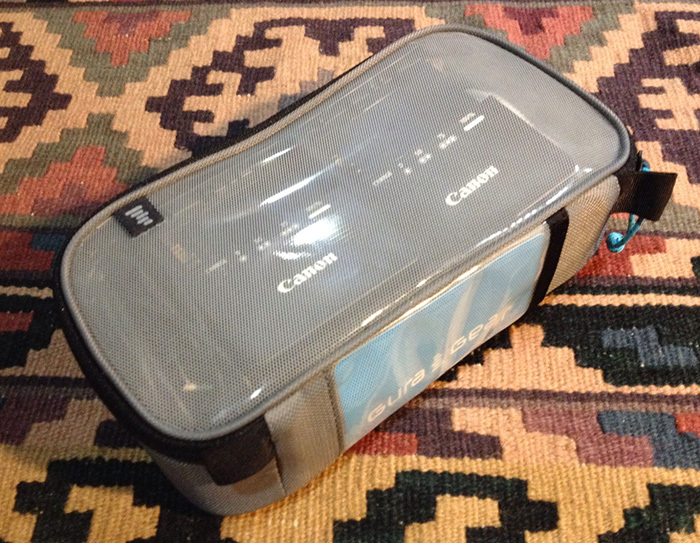 But the one item clearly not covered by this type of case and pouch system is media storage wallets. For video shooters using drives, these cases could be ideal, but for still photographers using cards, a wallet makes the most sense. Gura Gear offers a series of such wallets, as do a number of other companies. Keep the juggling act of card changing in mind when you shop for a wallet design. Avoiding wallets with awkward roll-up functions or zippers makes the process of pulling out a wallet and swapping cards as simple as possible. Having separate sections for different types of cards, or for full and empty cards, is another key feature. Dedicated organizers are not inexpensive; especially not well designed ones. 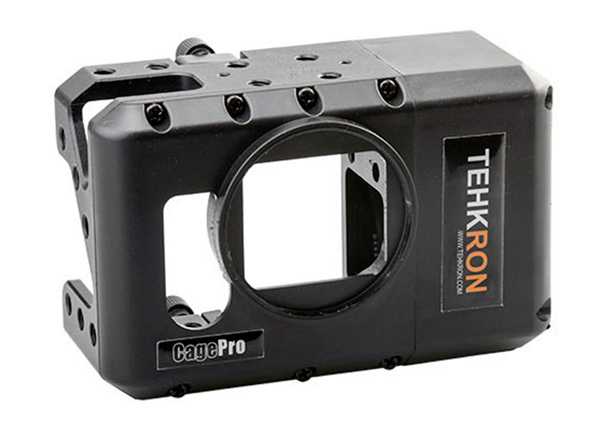 Purchasing a full array of dedicated cases and pouches runs more than a low priced camera case. However, the more I work with the Gura Gear Et Cetera organizers, the more I appreciate the value of having the right case for every use, and the same system for all cases. It saves a few seconds identifying the right container, and a few more with the smooth-working zippers and pulls. And it makes it easy to purchase more cases exactly fitted to need and size, as more gear is purchased, or to move into video work. Compared to the cost of their contents, the cases are a steal. 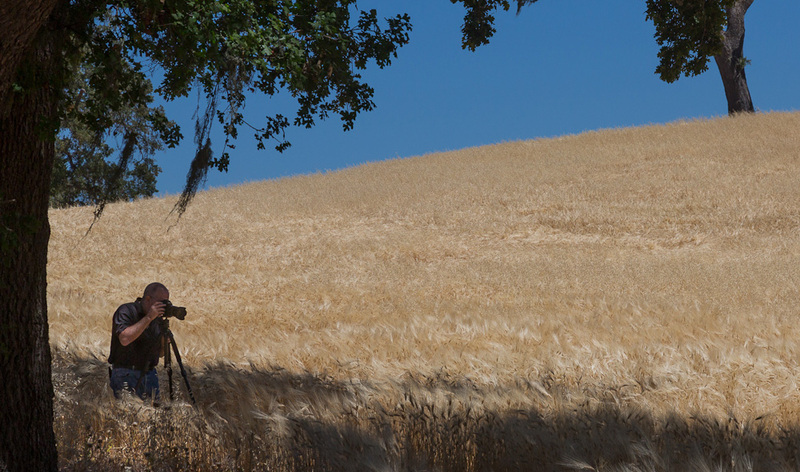 For my review of Gura Gear’s Bataflae Camera Packs, please click here.